Streaming video and Reserve DVD options for SOCG 355 (Death & Society) videos. A Family Undertaking explores the growing home funeral movement by following several families in their most intimate moments as they reclaim the end of life, forgoing a typical mortuary funeral to care for their loved ones at home. Streaming Video: This film is not currently available to stream. 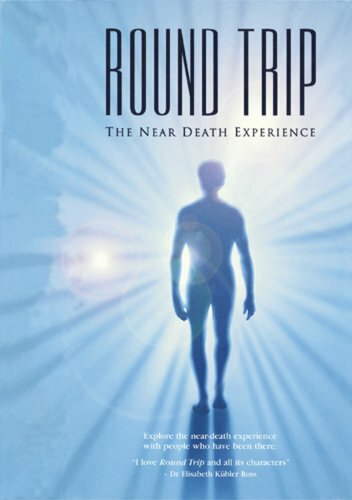 Flight from Death: The Quest for Immortality (2005) from transcendental media on Vimeo. Hailed by some viewers as a "life-transformational film," Flight from Death uncovers fear of death as a possible root cause of much of our everyday behaviors. Streaming Video: The video can be streamed on Amazon for $2.99. Click here to stream on Amazon. This video can be streamed on Vimeo for $4+. Click this link to stream on Vimeo. At UMW Libraries: This DVD is available for checkout at both the Stafford Campus Library and Simpson Library. Beyond Death's Door gives us hope that we can learn to live again after the death of a loved one, and not just survive. Our task is to embrace all of their life---the good parts, the ugly parts, the hard parts---and then to make sure that love is what we remember most. Streaming video: It can be watched (for free) by clicking the video above or by clicking this link to open a new window and watch on YouTube. At UMW Libraries: This DVD is available for checkout at both the Stafford Campus Library and at Simpson Library. Unblinking and unsettling, this documentary lays bare a mysterious process that goes on all around us - what happens to people who die with no next of kin. Dead bodies in various stages of decomposition are seen, but not played for shock factor. Instead, you learn a little about each person, both what they were before death and what will happen to them afterward. They are followed from the discovery of the body to the final disposition of the remains, and each step in between. Streaming video: This video can be watched (for free) by clicking the video above or or by clicking this link to open a new window and watch on YouTube. At UMW Libraries: This DVD can be checked out at the Stafford Campus Library. Five months after being diagnosed with ALS, Craig Ewert arrived in Switzerland for his scheduled suicide. A story about struggling to live ... and deciding when to die. Streaming Video: This can be streamed (for free) on the PBS Frontline website by clicking this link. 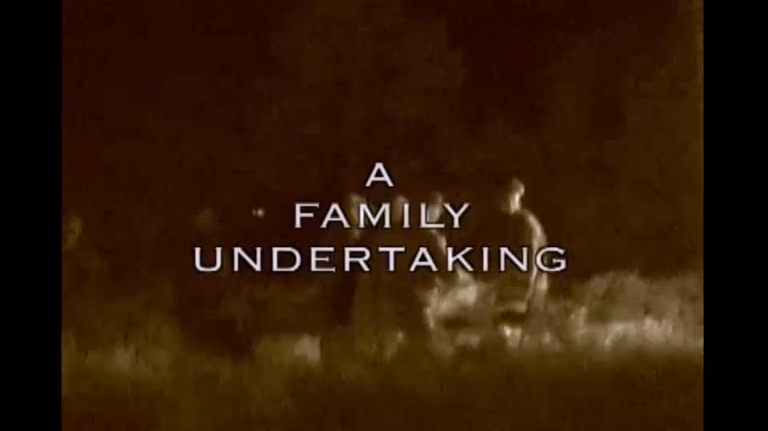 Set in the foothills of the Appalachians, this film explores one man's vision of using green burials to conserve land. Dr. Billy Campbell, the town's only physician, and his efforts have radically changed our understanding of burials in the United States. Dr. Campbell's dream is to conserve one million acres of land. Dying Green focuses on the revolutionary idea of using our own death to fund land conservation and create wildlife preserves. Streaming Video: This video can be streamed for free from the UMW Libraries' Kanopy collection. At UMW Libraries: The DVD is available for checkout at the Stafford Campus Library. 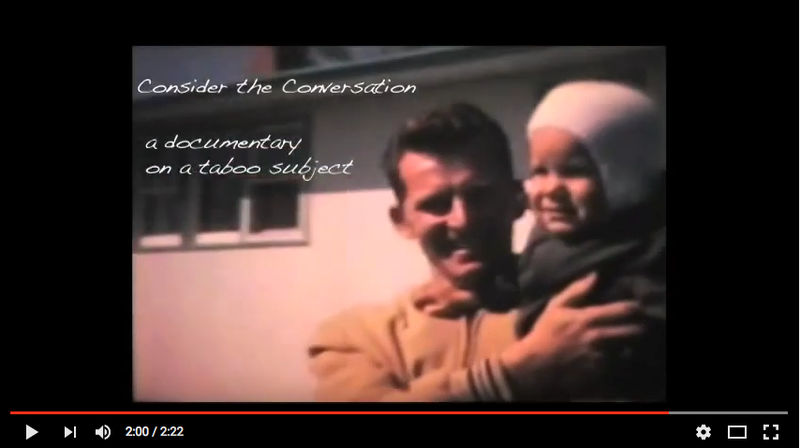 Consider the Conversation is a remarkable, thought-provoking film that looks at many of the issues that we will all face at the end-of-life. It opens the floodgates of thought and conversation on this most difficult and often taboo subject. It helps to illustrate many areas of improvement in our health care system. Streaming Video: Watch the video (for free) on Vimeo by clicking this link. If prompted, type in the password "CTC1". Though their life experiences are quite different, their Near Death Experiences are remarkably similar. In Round Trip, you'll share powerful, first-hand recollections from five people whose lives have been profoundly changed. You'll also hear from a philosopher, a parapsychologist and a theologian, who will help you interpret these extraordinary events. Streaming Video: This video is not currently available to stream.